Available in both saloon and estate body styles, the SEAT Exeo is an elegantly styled vehicle that offers a comfortable and refined interior, plenty of boot space and is enjoyable to drive. 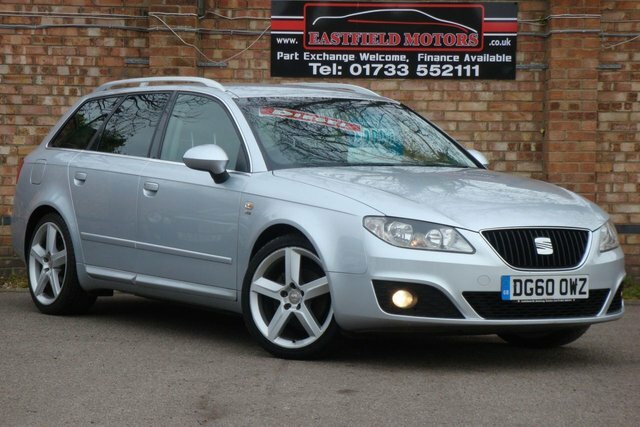 You can start your search for an affordable used SEAT Exeo model for sale in Peterborough here on the website, or alternatively, pay a visit to our showroom in person for a closer look at the latest range of vehicles in stock. All of the used cars for sale at Midland Trade Centre Limited are thoroughly inspected before arriving on our forecourt and you can always buy with confidence. Pay us a visit today and you're guaranteed a warm welcome.